The Bett Awards, an integral part of the Bett event each year, celebrate creativity and innovation in technology solutions for education. As a winner in the 'Free Digital Resources category' earlier this year, there's hope of repeat success in the 2019 awards. 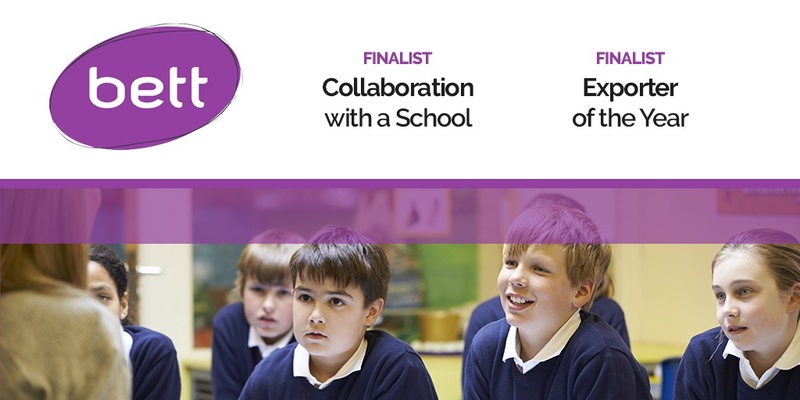 On November 1st the 2019 finalists were announced with Frog Education securing a finalist position in two categories: 1 | Collaboration with a School and 2 | Exporter of the Year. The categories represent two significant projects, the former featuring a strong partnership with a developing Multi Academy Trust and the latter a government-backed technology roll-out in South Australia. Gareth Davies, Frog MD was delighted with the announcement: "It is fantastic to have gained recognition in two very worthy categories. The best results come from close working partnerships and it is great to be able to share this achievement with them." The awards ceremony takes place on Wednesday January 23 at Bett.